Brighten your career with us! Solwin Infotech is one of the leading and fastest growing IT company, working on Offshore project, putting their foundation foot with highly experienced team of likeminded IT professionals comprising experienced project managers, software developers, designers, SEO and innovative thinker. We are increasing our team and hence we need more innovative brains to join our team and we invite you for the same. We are hiring for Adajan and Utran – Mota Varachha location. At Solwin Infotech, we believe that employees are the back bone of an organization. They are the most important people that contribute to a company’s growth. We offer professional as well as friendly environment to the employees. 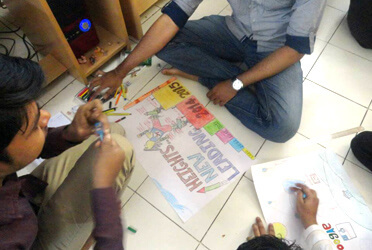 We inspire the employees to out in their best efforts for all the projects. We follow a transparent approach with our employees. People are free to ask questions to the colleagues and seniors. Regardless of the seniority and position, the employees can ask questions and clarify their doubts about the company, projects, etc. We have a state-of-the-art infrastructure to make the employees comfortable. We also encourage clients to visit our premises and meet the professionals working with us personally. Whether you are a fresh IT candidate or an experienced individual, Solwin Infotech is the most recommended destination to shape, make and groom your career the way you want. 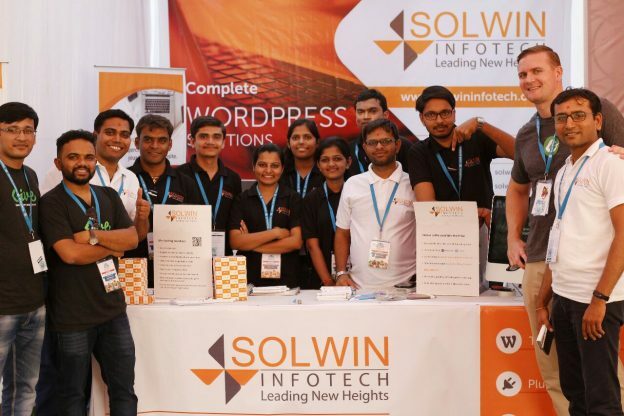 Solwin Infotech team participated in WordCamp Ahmedabad as a Mohanthal(Silver) Sponsor. Now it’s time for Celebration……!!!! Solwin Infotech celebrating 5th Anniversary. IT was really great moment with full of Fun With Solwin Team. Once again, thank you for helping us make the past five years so successful. A person’s mind works best when it is in an appropriate environment. The Solwin’s environment grooms the staff technically and improves the inter-personal skills in their own unique ways. The most admired thing about Solwin is the vision to continuously introduce value added products to keep ahead of competition. I am proud to be associated with Solwin and would like to be there many years. I am thankful for all my seniors and organization to nurture me into a strong tree having branches of knowledge and roots experience. 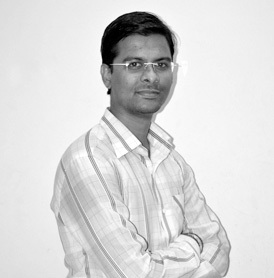 In Solwin Infotech I have been working since last 22 months. Its a great place to work because its infrastructure is really good and atmosphere is friendly. I have learn so many new things here from my colleagues as here all people are like family members. Solwin Infotech is a perfect platform for your professional as well as personal growth. 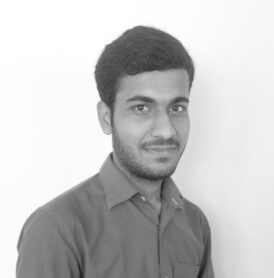 What I like the most about Solwin is the friendly environment and nature of every jobholder. All the individual representative working at Solwin are very helpful and extremely supportive. The company really cares about their clients as well as employees. 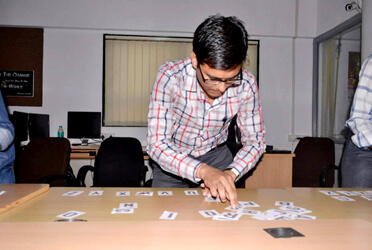 Team members are always active in new techniques and also inspire us for more growth & improvement. I am proud to be part of Solwin Family. Today I am self confident, and it’s credit goes to team members of company. Enjoying journey with Solwin by continuous growth and development of company & my life. Thinkers, innovators, disruptors create opportunity for them. We continuously look for new talents and the best minds in the industry who add value to our team. A career with Solwin is an opportunity to be part of an innovative team that works on cutting edge technologies connecting the world. We are always looking for smart, talented, innovative, and creative thinkers who are willing to change the world of technology. Not finding a suitable opening? Subscribe to get notified. We would like to work with people who having unique skills and talents. Submit your email address to get updates for all future job openings in your inbox. Submit your mobile number to get WhatsApp notification for new job openings.